I got really excited to watch my plants grow. This is Day 14 and here are the pictures below. 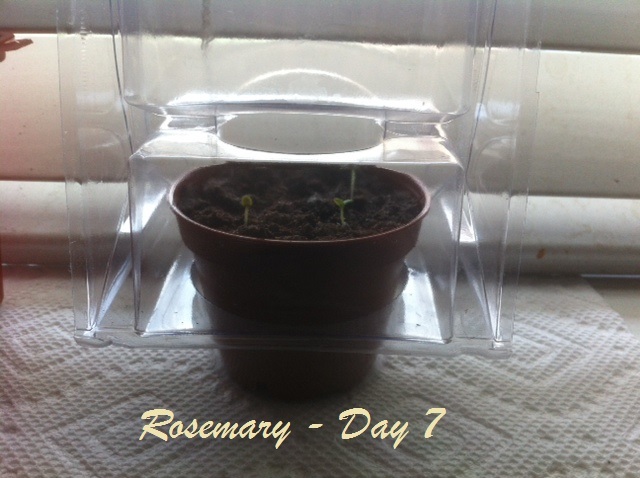 I have 5 baby Rosemary plants (is there a specific word for baby plants?) I’m not an expert on gardening and haven’t done a good job in the past. I hope my plants survive this year. I’ve gotten a lot of plants growing out of these. 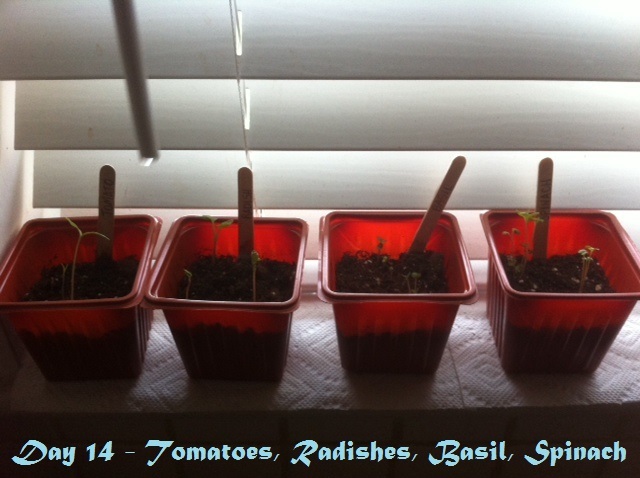 There are 3 tomato plants, 3 radish plants, 7 basil plants, and 9 spinach plants! I shouldn’t have planted a couple of seeds together because they came up close together. I wanted to separate them but I thought it is best to wait till it gets big – afraid to break it or mess it up. 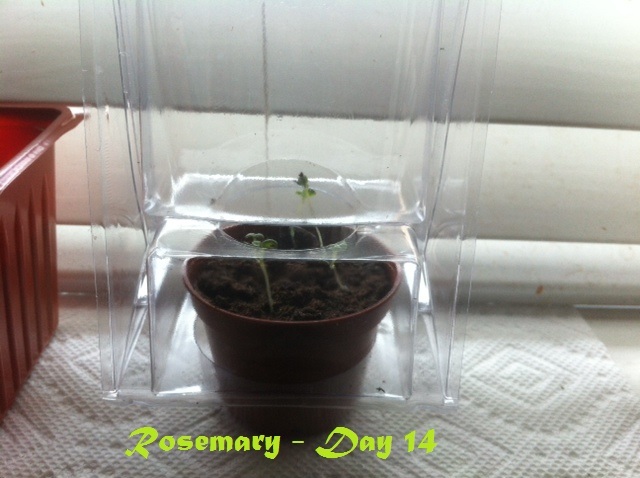 My Rosemary is growing. I’m so excited to see something green popping out of the seeds! I hope it is not hard work to get it going. I have made it a ritual to water it every day – just being easy on the watering. I have decided to grow another herb, Basil. I bought 3 more seeds to see if I can grow more at the same time. I have Tomatoes, Radish, and Spinach. I’m sure that Radishes and Spinach will grow big and need bigger space. 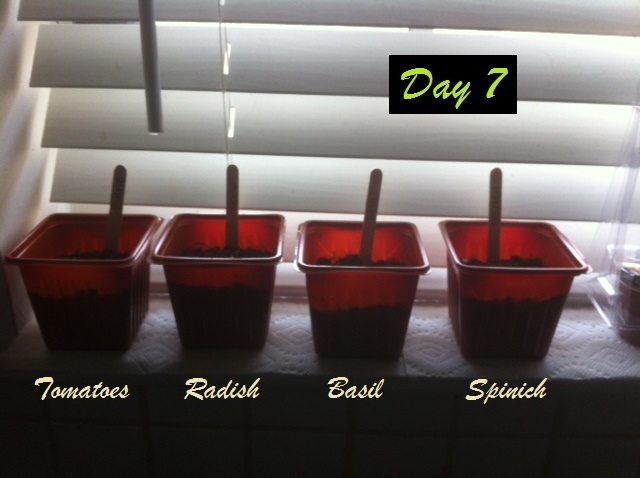 I plan to buy a bigger pot to see if I can really grow the Radish and Spinach indoors. I have a sliding glass door that I can put the big pot next to for sunlight.